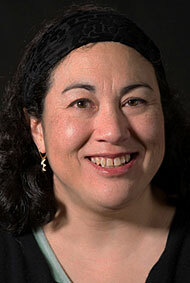 Monica Rico’s work as a public history practitioner has been recognized by the Outagamie County Historical Society. Associate Professor of History at Lawrence University, Rico has been named the 2018 recipient of the historical society’s annual Lillian F. Mackesy Historian of the Year Award, which honors outstanding contributions to Outagamie County history. She was cited for a pair of public presentations she made in 2017 on the history of environmentalism in the Fox Valley, one to the local community and one to the Northeast Wisconsin Land Trust. She also was recognized for her nearly decade-long service to the Outagamie County Historical Society. During Rico’s tenure as board president, the History Museum received numerous state and national awards, including being named one of 15 finalists earlier this month for the National Medal for Museum and Library Service, the country’s most prestigious museum award. National Medal winners will be announced later this spring with representatives from winning institutions honored May 24 at ceremony in Washington, D.C.
Mackesy, the award’s first recipient, was devoted to the preservation and promotion of the region’s historical heritage. Her personal collection forms the core of the History Museum’s research files and photograph collection. Rico joined the Lawrence faculty in 2001. Her scholarship interests include early America, the American West, gender and environment. The author of the book “Nature’s Noblemen: Transatlantic Masculinities and the Nineteenth Century American West.” She was recognized in 2014 with Lawrence’s Award for Excellence in Creative Activity. Rico is the third Lawrence faculty member in four years to be honored with the Mackesy Historian of the Year Award. Antoinette Powell, associate professor and music librarian, was recognized in 2015 and anthropologist Peter Peregrine was recognized in 2016.